The technological developments of the 21st century have created a dynamic new space-age and we are part of an exciting era of human space exploration. By the end of this century humans will have colonised the Moon and Mars. What part do artists play in this new space-age future? I specialise in projects inspired by space exploration and science of the cosmos which involve collaborating with scientists. 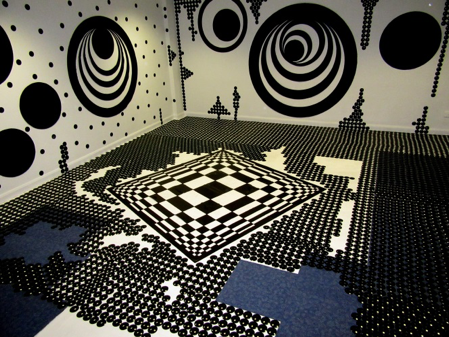 I invent optical illusions to express these phenomena creating installations, large paintings, smart materials costumes and experimental space-art books. The Human Spaceship project: I believe art and science need to collaborate to achieve our 21st century space exploration goals. 1.To envision and imagine how we can survive off-world in terms of long duration spaceflight & colonisation. 2.To improve science & art investigation by creating collaborative working practices which communicate across the disciplines to reach more diverse audiences. 3.For education purposes using STEAM methods to enable children of all ages & abilities to understand that they live in a space-faring society and will witness the most astounding change in ‘being-human’ through astronomy and space exploration in the 21st century. 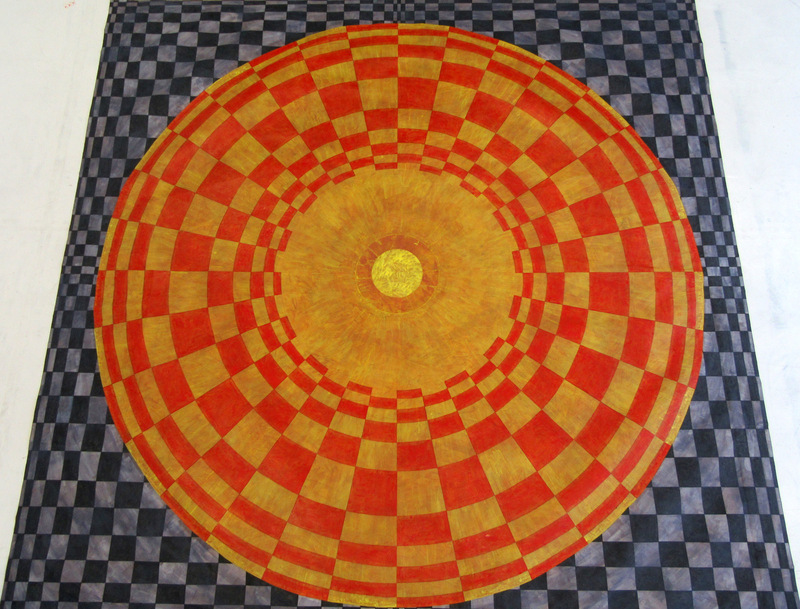 This work spans art and science exploring vision and visual perception in space conditions by employing space exploration imagery through the manipulation of geometric proportion, colour, scale and light to create optical illusions. This started in 2007 whilst doing an MA in Glass at University of Sunderland. This work has led to me becoming the only artist ESERO-UK Space Ambassador for ESA education (Tim Peake Mission). A Pollock Krasner Foundation Award in 2015 enabled me to visit UK Space Gateway, ESA, Royal Astronomical Society and National Space Centre and UK university astrophysics departments to initiate projects which unite artists and scientists through collaboration. In 2018, I was keynote speaker for the ‘Art & Space’ session at the European Week of Astronomy & Space Science conference in Liverpool, where artists and scientists came together to discuss joint projects. I have been based in north east England since 2006. The space themed work has been created during 10 years of art/science collaborations and through residencies, which include Durham, Royal Holloway, Cambridge and Northumbria Universities. I initiate artist led projects, which include working with Arts Catalyst, Science Museum, Centre for Life, art galleries, universities and schools nationwide. 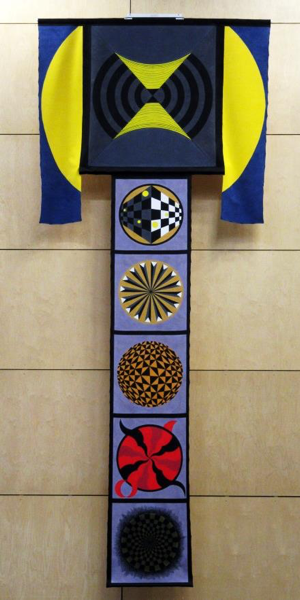 Since 2016, I have collaborated with Northumbria University’s Solar Physics group being commissioned to create a large artwork ‘SOLAR’, and a series of school STEAM projects about the Sun, ‘Imagining the Sun’. Alongside this project, I am working with Dr Helen Mason, solar physicist from University of Cambridge on the ‘SunSpaceArt’ project; both are funded by the STFC. Since 2010, I have worked with Durham University on many projects starting with the Space-Time residency at the Ogden Centre for Fundamental Physics. I’ve worked with leading scientists, met Space Shuttle astronauts and visited the UK Dark Matter Laboratory. In 2014, on a residency with Royal Holloway University Astrophysics department, I created large art books about extra spatial dimensions and dark matter. This was connected to the ‘11th Dimension’ installation made up of 11,000 glass lenses and shown in Durham Cathedral, 2009. In 2011, I devised an ongoing lunar art/science project, ‘Moon-shot: Woman on the Moon’, which includes large paintings, public engagement projects and residencies. 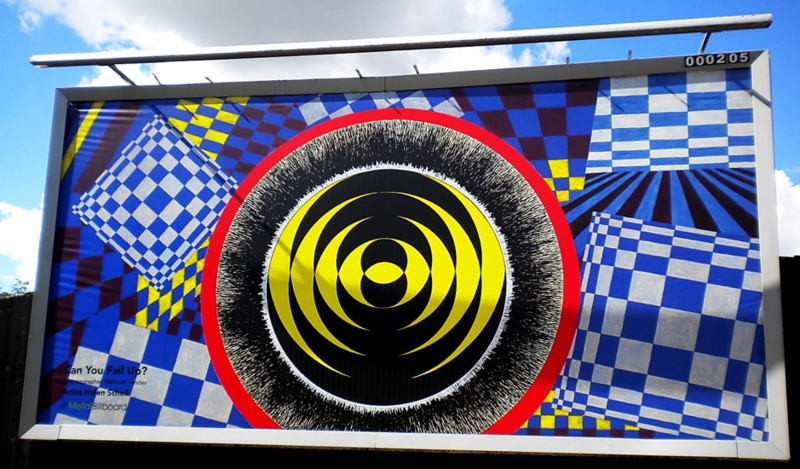 ‘SUN (Rise): Can you fall up?’ METAL Peterborough, billboard project, 2014. ‘Yellow Giant’ solo show at Vane gallery, 2015. ‘Imagining the Sun’ collaboration with Northumbria University solar physics group and NUStem, commissioning SOLAR and STEAM workshops, funded by STFC since 2016. ‘SunSpaceArt’ also started in 2016 and ongoing, working with Dr Helen Mason, solar physicist from Cambridge University, devising and running school workshops and Cpd’s nationwide, and presentations at art and space science conferences. ‘Moon-Shot: Woman on the Moon’ begun in 2011 on a Lunar Laboratory Residency. For this ongoing project, I’ve created a series of large paintings of a Moon Rocket (10.5 metres high), Full Moon and Lunar Space Station. 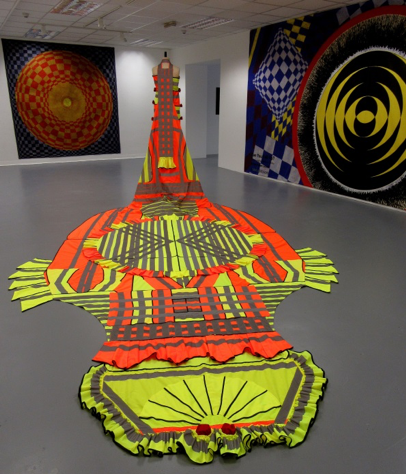 This solo show was exhibited at Vane and Globe galleries, Newcastle in 2013 and National Stem Centre, York University. ‘Make It to The Moon’ started in 2012 as Maker in Residence, Centre for Life, Newcastle, devising family workshops, which has become a series of specialist national and international outreach projects. Other public engagement includes ‘Republic of the Moon’, Arts Catalyst and ‘They used to call it the Moon’, Baltic 39. ‘Make It to the Moon’, Science Museum, Olympic Celebrations. ‘Beam Dress’, Lancaster Festival of Light, also shown at Mattereality Conference, Scottish Museum of Modern Art, UK Maker Faire and education projects. 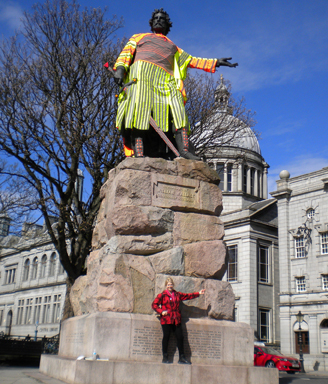 ‘Guardian’ – I dressed the 5m high, William Wallace statue as a hi vis space-age warrior for Look Again Festival, Aberdeen, 2015. ‘SUN-Dress for Yellow Giantess’ is a vast hi vis ball-gown created for the Yellow Giant project shown at Vane & Maker Faire, 2015-16. Dress Smart – The Human Spaceship, includes the Moon Rocket Dress, Durham Arts Festival & UK Maker Faire, 2018. Royal Holloway Astrophysics Department residency & workshop, 2014, I created 3 large experimental books about extra spatial dimensions, dark matter and CERN. 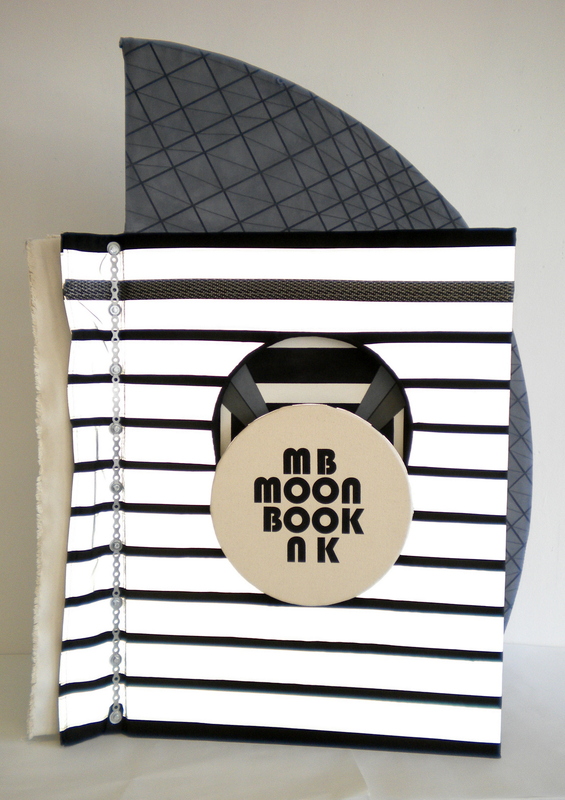 Unbinding the Book’ project, 2014, for Jotta & Blurb, I made Moon Book, shown at the London Art Book Fair and London College of Communication. USA – (Corning Museum of Glass, Vermont Studio Center Fellowship & Alden B Dow Fellowship), Canada – (Banff Residency, Gibraltar Point, Toronto, Arts City, Winnipeg), Cuba – (Forest Artists Exchange), Belgium – (Brasschaat), Netherlands – (Drenthe Residency), Sweden (Sofiero Castle), Germany (Hannover). I devise specialist STEAM, space themed workshops & presentations which include the Moon, Mars, Solar System, Orbital Debris, Rockets & Robots, Smart Materials and Cosmic Science for Arts Catalyst, World Monument Fund, Science Museum, IoP, British Science Festival, Laing Gallery, Centre for Life, Celebrate Science, Cambridge Festival of Ideas, UK Space Gateway and many schools nationwide. I create and offer a series of specialist space themed STEAM projects for venues around the country.